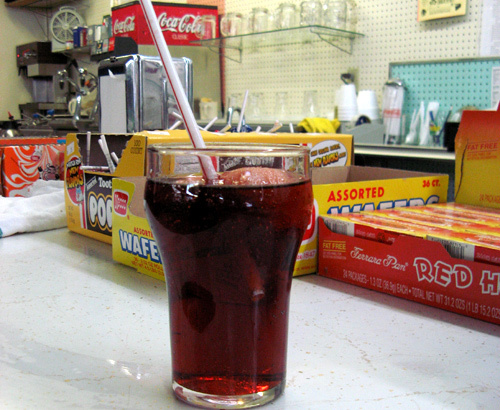 I chose to stop at Soda Springs for a taste of Ironport soda at the Eastman Drugstore–the oldest drugstore in Idaho. I had intended to make a quick stop along my route, not stay the weekend. But travel plans don’t always work out. I arrived on Saturday afternoon, just after the pharmacy had closed for the day, and would not open again until Monday acheter viagra en france. After a quick drive around the main street, I realized A) there was not much to do in this town, and B) I could feel a cold coming on. I decided to check into the Enders hotel, located in front of the town’s spring geyser. 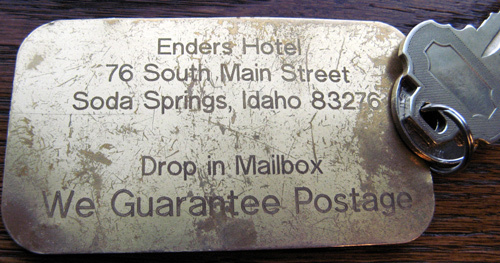 It turns out the Enders Hotel has a rich past, and a son of one of the previous owners even wrote a book about the place called, what else, The Enders Hotel. After falling on some hard times, the hotel was purchased by a former Soda Springs resident in the late 1990s and underwent a massive restoration to bring it back to its original condition. 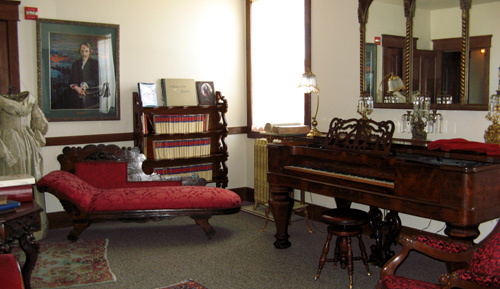 The second floor is now a museum, and the third floor has guest rooms. I stayed in room 342. My slight cold turned into a nasty 24-hour bug and I was glad I had holed-up in this cozy room. After spending a day in bed I was ready to hit the road again. 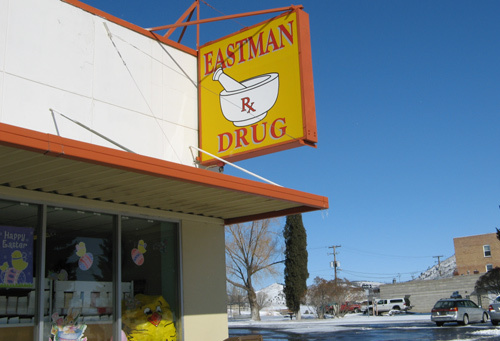 First was a short walk down the street to Eastman Drug to finally taste an Ironport. After speaking with the owner, he convinced me I should have a cherry-Ironport, which is sweeter. I did, and it was delicious–a taste close to a cherry root beer. 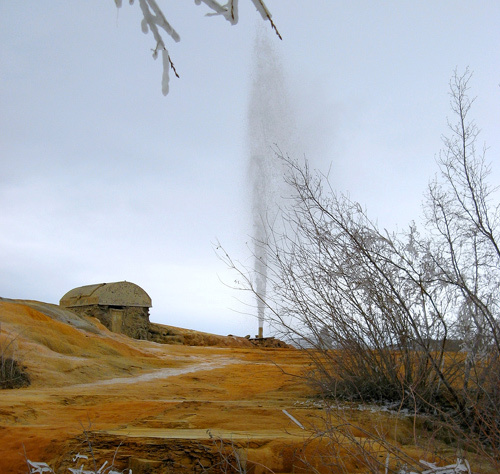 And finally, I leave you with the Soda Springs Geyser. The geyser is manually capped and controlled to erupt every hour on the hour. Yes, that’s ice on the branches. It was cold in Soda Springs. This entry was posted in attractions, travel and tagged idaho, soda springs. Bookmark the permalink. Both comments and trackbacks are currently closed.